Many years ago, about two-thirds of the way down Church Street, was the Stratton dairy shop that satisfied all my ice-cream whims. Sadly it closed down years ago, before Stratton dairy itself did- how I miss glass bottles of milk being delivered to the door. Anyway, I’m not sure if another shop was in the unit from then until now. 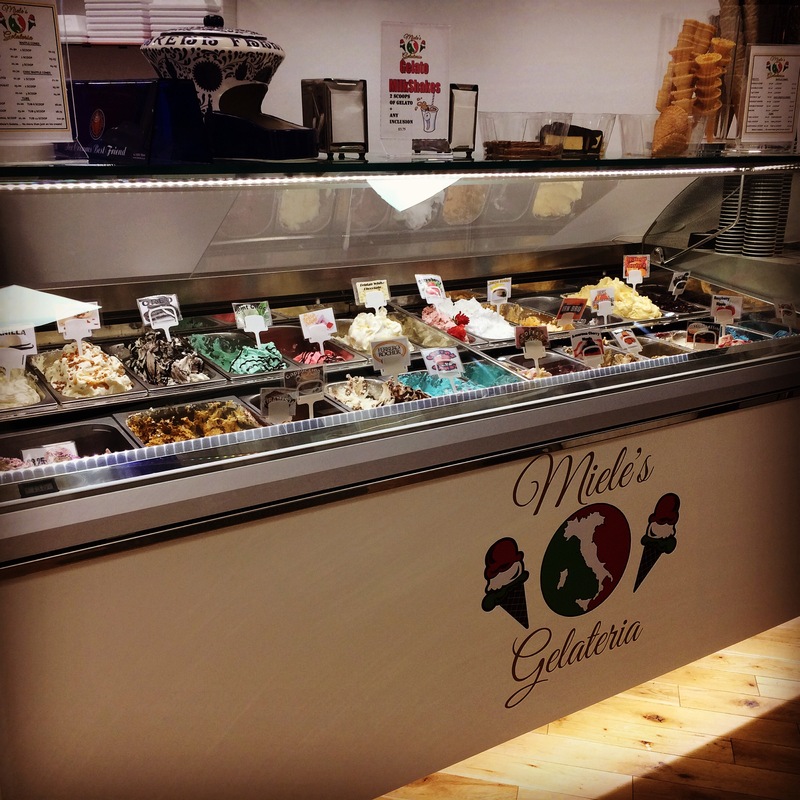 Then, in December, Miele’s Gelateria opened. 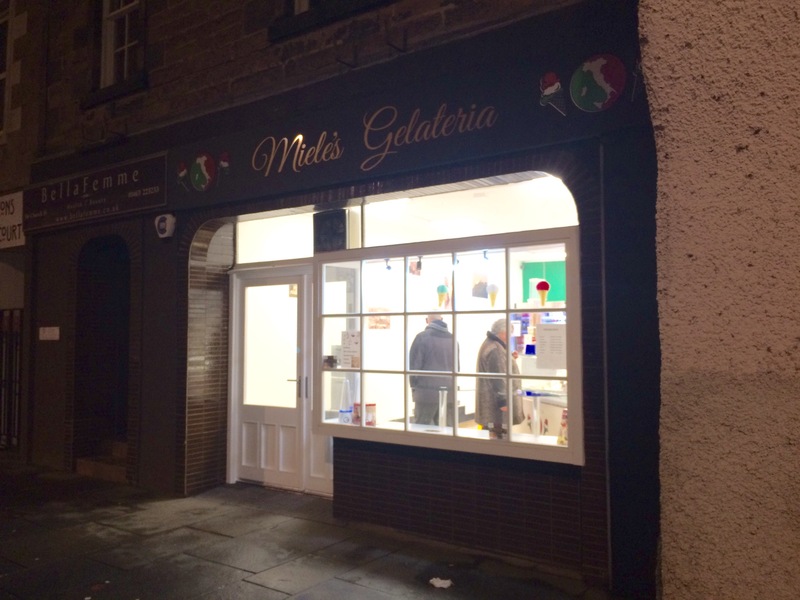 This excited me for a few reasons- my love of gelato, they are an independent business & the fact they open until 9pm. Naturally I’ve been in a few times since then so I thought I’d better write about it. Their active Facebook and Instagram accounts tempt me regularly and pretty much push me back in the door. It’s not only gelato, there’s the coffee, cannoli, sandwiches, milkshakes…I could go on. 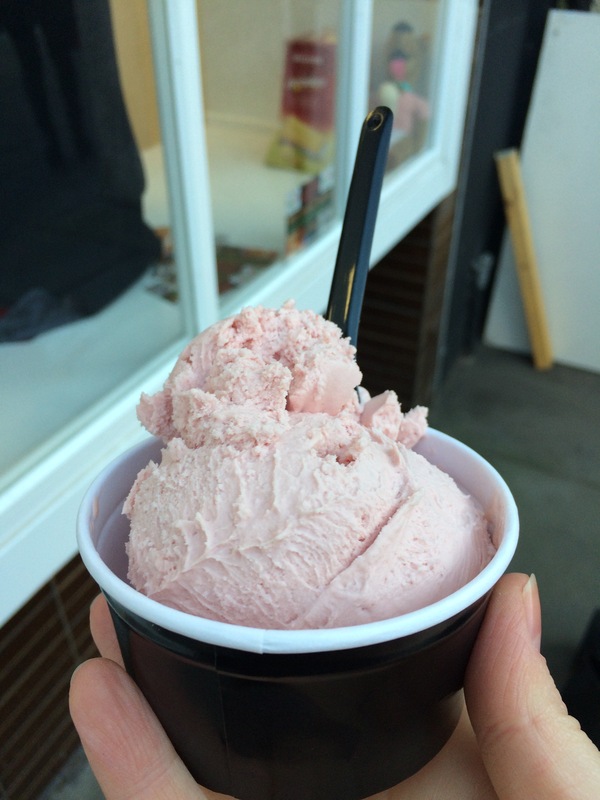 The gelato is homemade and so delicious. For those of you who are confused about the difference between gelato & ice-cream this is my understanding. Gelato is churned at a slower rate so takes in less air and is therefore more dense and it is stored at a slightly higher temperature so it’s softer. It has a lower fat content as they generally use more milk than cream so the flavour shines through. My favourites so far are the pink grapefruit and the vanilla but I’m sure I will be adding to that list.